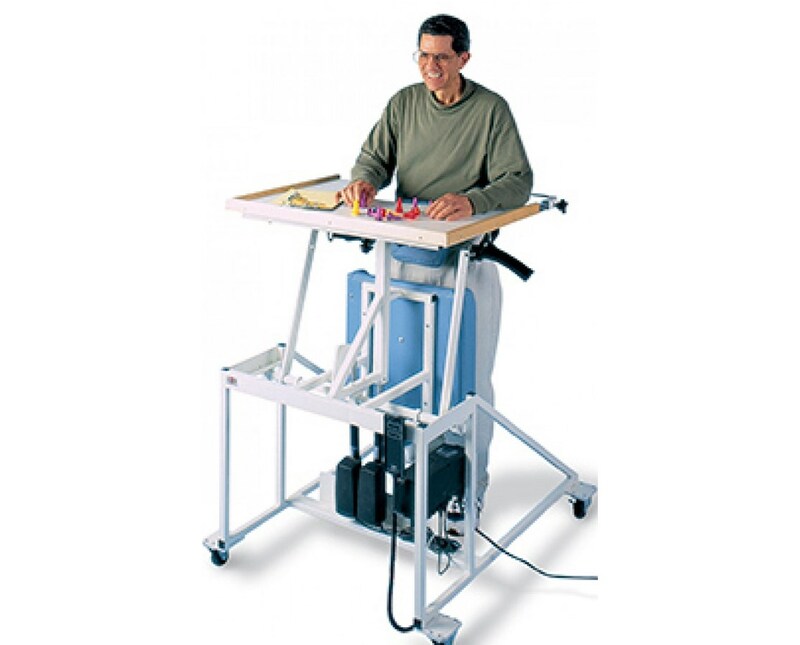 The Hausmann Industries Hi-Lo Stand-In Table with Electric Patient Lift is a medical device designed to enable doctors, therapists and/or caregivers to easily assist and lift patients on shifting from a sitting to a standing position. 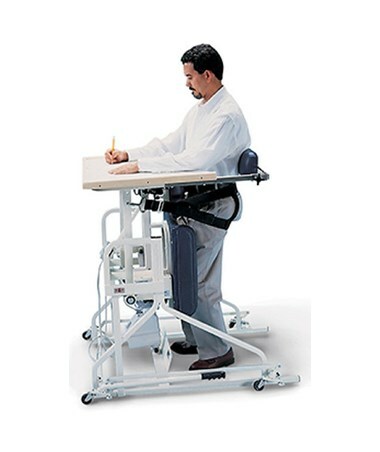 It also promotes vertical weight-bearing activities that slowly improve a patient's balance and strength. Awesome Design. 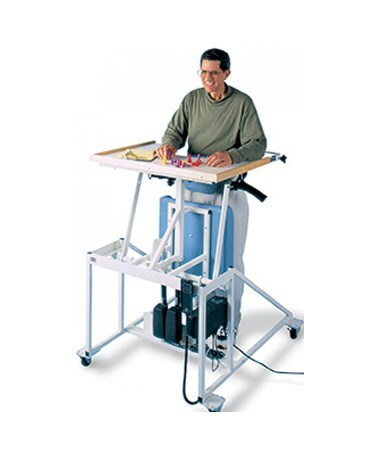 Constructed with high-quality materials, the Hi-Lo Stand-In Table with Electric Patient Lift features a high-pressure laminate top with a heavy-gauge, powder-coated steel frame. It also has padded knee, chest and back support that comfortably and safely hold patients in a standing position. The Table has a hand control operation to adjust the top's height and motorized a 300 lb. patient lift. It is mounted on heavy-duty casters and is powered by 110V, 60 Hz, and 3.5 Amps.